The USCA Official Rules for 9 Wicket(backyard) croquet have been updated along with Challenging Options and Frequently Asked Questions. 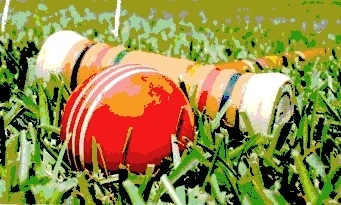 All of these documents are available as PDF downloads from the www.9wicketcroquet web site. The Basic Rules have been condensed into a 5 page document that is easier to read and a bit more straightforward with explanations. There are no major changed, additions or deletions. This revision was requested by all the 9 wicket committee members to make the rules less cumbersome for backyard players. The Quick Reference Guide has been updated as well to maintain consistent language. The major difference between the 2013 and 2016 USCA 9 Wicket Rules is in the Bonus Shots section. It is made clear “You are “dead” on a ball for extra shots until you clear your next wicket or on the start of your next turn whichever comes first”. On each turn, you are alive on all balls. There is no carryover deadness in the basic rules. There was some condensing of words and the sentence, “If players are using mallets of different lengths, agree to a common distance you’ll measure in during the game” added in The Boundaries section. Challenging Options have been expanded to include variations or the game played regionally. This is in keeping with the committees plan to move the National Tournament around the country and attract regional players into the game. The Norwich Options were developed in Norwich, Connecticut , a historically important city in the development of the American game of croquet. The Claremont Options are derived from The Claremont Hotel in Southwest Harbor, Maine, home of the Big Lobster Tournament. New Challenging Options 9 and 10 were added and a whole set of options for tournaments (see Options 21-35). The Frequently Asked Questions are much the same with only one addition related to a Challenging Option. If I roquet a ball and pick up my ball (ball in hand), can I put it back down in its original position to take my first bonus shot? Yes. If Challenging Option 9 is in effect, then the answer is No. You must use way 1, 2 or 3 once you pick up the striker ball after a roquet for taking the first bonus shot. We trust these changes will be helpful and make you game of croquet more enjoyable. Please contact us if you have comments or would like to see additional regional variations of the game recognized for their contributions to the sport. 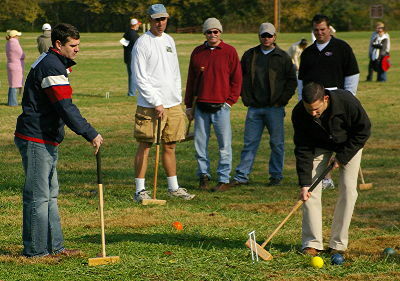 © 2008–2019 United States Croquet Association. All rights reserved.